But God demonstrates His love towards us, in that while we were yet sinners, Christ died for us. Christians all over the world will be gathering this Friday for services. Friday was the day that Jesus died upon the cross. It was the day that His disciples saw their Lord and Messiah whipped, beaten and nailed to a tree. It was the day Mary saw her “little boy” brutalized and killed. It was the day God the Father saw His own dear Son tortured, mocked, spit upon, and crucified. It was the day that sinful, darkened man extinguished the sinless light of the world. We call that day… GOOD FRIDAY. 1. Good Friday demonstrates the great love of God. Often times we allow circumstances to influence our understanding of God’s love. We wrongly develop “Daisy Theology” – He loves me, He loves me not. If things are going well for us, He must love me; if they are going poorly, He must love me not. Listen, the cross is outside of your particular circumstances. It stands as a PERMANENT REMINDER to you and me that, regardless of our circumstances, God truly does love us… so much so that He would even allow His Son to die a brutal, excruciating, humiliating death for us. Wow! 2. Good Friday opens the door to the great throne of God. When Jesus died on the cross, the veil of the temple was torn in two from top to bottom. The thick veil that separated God from the people was ripped apart. No longer is there separation. No longer is there any need for further sacrifices upon the mercy seat. You and I can come boldly into the very presence and throne room of the King of Glory and sit in His lap!! We have full and open access to the Father because of what the Son did that Friday. 3. Good Friday paves the way for Easter Sunday. There could be no Easter glory without Good Friday. Jesus said, “Was it not necessary for the Christ to suffer these things and to enter into His glory” (Luke 24:26). What glory, what power, what joy and hope we all have because of the cross and the resurrection. 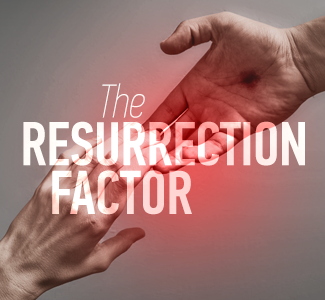 No matter what you and I may be facing today, the resurrection proves to us that God is able!! He can take the worst life can bring and turn it around to be the greatest blessing on earth. 2000 years ago, that Friday was painful beyond words. Yet, it ended up being the most significant single day in history. Without that Friday, you and I are irretrievably destined for hell. But with it (and with the resurrection), we can be blessed and booked and bound for glory to live forever with the One who willingly died for us. No wonder they call it GOOD FRIDAY! 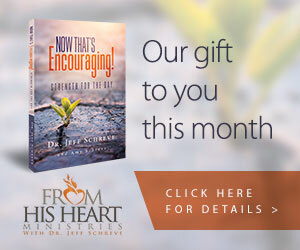 My friend, if you have not yet received Christ into your heart and been born again, I urge you to do it today. As I told a friend just this week, the way you enter into a personal relationship with Jesus is not easy, yet it is simple: you give all you know of you to all you know of Jesus. You sell out to Him, the God who loves you and died for you. Make the greatest transaction in the world… trade your sinful life for His sinless, abundant, eternal life. You will be so glad you did! Have you ever had something very difficult, painful, and heartbreaking come into your life—and the problem seemed to last for a very long time? I believed the report. I believed He died on the cross and rose from the grave. The only problem I had was that I believed it as facts on a printed page. Whatever your weakness, I've got good news: The Lord Jesus can sympathize with it. I remember saying to myself, "Come on, John. Have a little humility! Who do you think you are, God's gift to the 12?" Everyone desires a happy new year… but how does a person actually experience a happy new year? Even in the midst of great discouragement, in the midst of enemies all around him, David clung to the promises of God. Is there someone you can be kind to today? Nothing enhances your witness for Christ like generosity. The key to a joyous Christmas is to make sure you stop and look at your 'to-do' list. An attitude of gratitude is the attitude that pleases God and sees life from the proper perspective. But how does one adopt this attitude? Our big problem in life is that we spend way too much time thinking about ourselves and far too little time thinking about God. There is peace within for those who bow the knee to Jesus. And the reason there is peace within is because the Prince of Peace takes the throne. What is the secret? And what are the implications? When I realized that critical truth, I received Christ willingly and gratefully, and my life was forever changed. We are a nation that has no idea how to blush. We are a nation on a collision course with judgment. The Lord makes it clear that we will get angry in life. But in the anger, we don’t have to succumb to sin. Sometimes we forget how much God loves us. Sometimes we fail to see the great heart He has for our protection and defense. God wants to use little ol' you and little ol' me to be Jesus-with-skin-on to a lost and hurting world. Will you take the challenge? Mountain moving miracles don't take place in "can't do" people. The followers Jesus chose were ordinary, not extraordinary. And that is precisely the way the Lord likes it! The truth of the matter is the thief and enemy of our souls has no power, authority, or victory over a Christian. When it comes to problems, you and I always have a choice: "Will I allow this to make me bitter, or make me better? Doesn't God want you and me to be more and more religious so we can please Him? One of the great fringe benefits of being a Christian is joy. I once heard Adrian Rogers define the fear of God as “love on its knees.” I like that definition, because the one who fears God the most, truly loves Him the best. My current trial is my right hip. However, next month it will undoubtedly be something else. Life is just that way. What do you do when life changes suddenly, unexpectedly, and without your permission? Point 3: As a nation, we are a house divided. But, Point 4: Christians can make the difference. While no couple can live on a perpetual honeymoon vacation, it is also true that the honeymoon does not have to end just because the married couple comes back home. How are we to reconcile devastation with our faith in a good and loving God? Be totally honest for a moment: are you enjoying your relationship with God? Are you feasting on His goodness? This infinite, glorious, majestic God is crazy in love with you and me. There are two foundational truths you and I must have embedded in the core of our being in order for us to stand no matter the storm. Then I heard the voice of the Lord, saying, "Whom shall I send, and who will go for Us?" Then I said, "Here am I. Send me!" (Isaiah 6:8). When it comes to the Lord’s team, are you chomping at the bit to get out there for Jesus? Does fearing God mean I am shaking in my shoes whenever His name is mentioned? "Well done, good and faithful servant." Can there be a greater reward than that? I do not consider myself yet to have taken hold of it (Phil. 3:13). Have you gotten stuck in the ditch, so to speak, unable to move forward because of adverse circumstances or failures of the past? The God of the universe is almost too good to be true. Tell slaves who are believers to place themselves under their masters' authority in everything they do (Titus 2:9). How would you like to turn your job into a joy? Is that even possible? Yes! But seeing the wind, he became afraid, and beginning to sink, he cried out, saying, “Lord, save me!” (Matt. 14:30). Walking on water was both a triumph and a lesson for Peter, for the other disciples in the boat, and for us today. Where Are You Going? Therefore, be careful how you walk, not as unwise men, but as wise, making the most of your time, because the days are evil (Ephesians 5:15-16). Here are some good questions to ask yourself if you want to make the most of your precious time on earth. Hide & Seek Where is He who has been born King of the Jews? For we saw His star in the east, and have come to worship Him (Matthew 2:2). Are you too busy to seek Him? Do you think it is a waste of time and an exercise in futility?